Last year, I read The Diary of Anne Frank. It was one of my first World War II book, and because of my Dutch family, I was drawn into Anne Frank’s world. So much so that I immediately immersed myself into the time period. 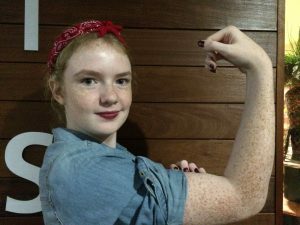 For Halloween that year, I even went as Rosie the Riveter. For a few months, I read lots of books and asked plenty of questions. It wasn’t long before I started daydreaming about writing my own historical fiction. It sounded impossible, however – sure, I loved history; especially the 1940s. “But it sounds like a lot of research,” said past me, a fantasy writer. I like to say that, in the world of fiction, fantasy is the absolute opposite of historical fiction. In fantasy, you have the opportunity to create anything in your wildest imagination. No limits! That’s why it appeals to me. With historical fiction, on the other hand, certain real-life events can and will affect your storyline. That’s the harsh truth of this genre: you have little freedom in what you write (compared to other genres). November came near, and I had the wild idea to actually write my World War II novel. As I had never been to Europe even in present times, I didn’t feel comfortable writing it. So I crafted my story in the southern United States, and immediately I began my intense research. But don’t let me scare you away! I had seriously overestimated the amount of research I would have to do. I had a notebook and at least one Word document full of information that would later be useless to me. I looked up loads of articles on all sorts of topics, and though some of those facts would prove themselves useful later on, it was a huge waste of time. Broad research can be done before you’ve planned your story, like the bare basics of the time period. In fact, the information could spark new ideas! But before you dive into specific research, you need to know what will be important and what won’t. And for you pantsers (those who write without plan) and plantsers, like me (those who write with little plan) – research can still be done while you’re writing. I’m rewriting my project right now, and I still Google several 1940s-related searches every single day, sometimes for just half a sentence that I don’t keep in the end. So don’t wear yourself out trying to retain as much info as possible before you start writing – trust me, you’ve got all the time in the world. Plan out your story, at least the bare basics like setting and main characters, writing down what you’ll need to research later on. Maybe keep a document on your phone, or a page in your journal. This, I believe, is the most effective way to avoid wasting your time on useless information. But how can this be accomplished? Is there more to researching a novel than doing a quick Pinterest search and saving the good articles? Well, yes, that’s part of it. But, for me personally, I have difficulty believing everything I read on the Internet. It’s a habit I picked up from my dad. So my research stretches a little further than the screen of my laptop. So here are the most effective ways to research the good stuff (AKA, the important information) for your novel. Ready? Set? Go! Like I said – online articles are superb. But you’re more likely to get relevant information from a book than from a Wiki page. You should already know where and when your book is taking place. That fact is a great place to start when considering which books you should pick up from McKay’s* tomorrow, because a book taking place in 16th century Fiji is going to be vastly different from one in 19th century New York. Fiction or nonfiction? Yes! Both! Nonfiction, especially written by someone who lived during that period, will give you the inside story of the time. But fiction can give you great ideas as to what you want your historical fiction to look like. For me, finding the right books for research was a struggle. Most World War II books I found were based in Europe or Asia – I found very little for my poor America-based novel. In the end, however, I did find the perfect book (in McKay’s*, of course!). The title slips my mind, but it was a self-published nonfiction that was simply the day-to-day activity of a kid in the United States during the war. That was exactly what I needed, and it taught me just as much as what I found at my keyboard. *McKay’s is a glorious secondhand bookstore. If you’ve never heard of it – you need to find one, pronto. Story-boards – this is a fun, purely visual Pinterest-based activity for writers. See my story-boarding guide here, and my character-boarding guide here. Biographies – find some biographies, or just plain nonfiction (or even fiction!) written during or around your chosen time period. If you can, read some by people in similar locations, age, or situation as your main character(s). Movies – if movies existed in your chosen time, try watching some to find out how people really talked back in the day. But keep in mind that most movies are made to be overly dramatic, so the dialogue might be exaggerated slightly (or a lot). Photos – again, this is where story-boards come in handy. Finding photos of your chosen time, and simply seeing how people lived back then, is not only interesting – it’s incredibly useful. But in this day and age, finding some old 1940s photos lying around is easier said than done. Again, I suggest Pinterest. What did we learn from literature class? Pay careful attention to what you’re reading. Underline what you think will be important later, and make notes in the margins. You don’t have to deface a book, however, to take notes. In the book(s) I used as research, I bookmarked important paragraphs and kept notes in my phone. Please, please, please write everything down! You’d be surprised how easily you forget an idea, a thought, or a piece of history. You’ll save yourself a lot of time in the long run. Even outside of historical fiction, write. it. all. down. Writers are forgetful things. The best we can do is help ourselves out a little. I’m well over halfway through the second draft! My goal was to get this draft done by August 1st, 2017, but due to some unforeseen setbacks, my current goal is August 7th. It changes all the time, however, so check the widget on the side of your screen (or below, if you’re on mobile) for updates. My publication goal is still October 2017. 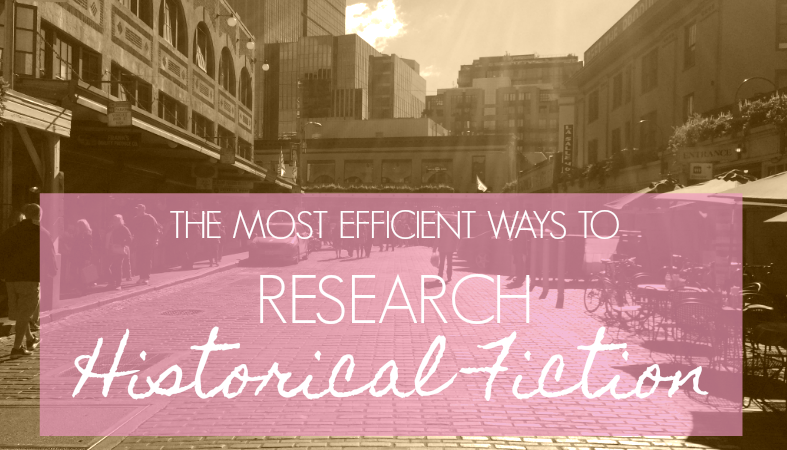 How do you research for historical fiction? I’d love to hear it! Looking for your new favorite blog? Check out my friend at Radiant Ramblings! 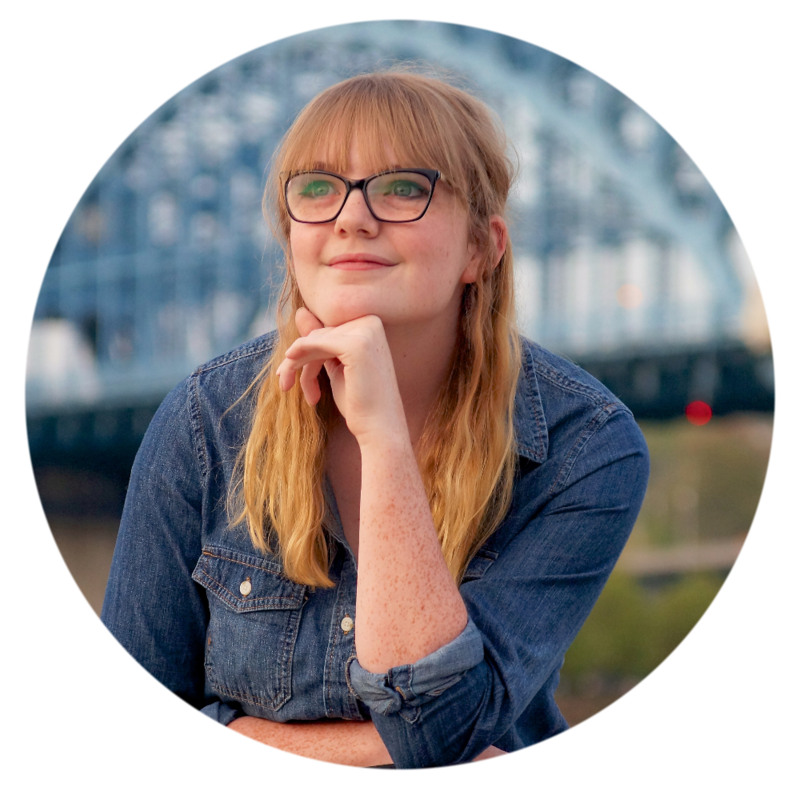 Makenna writes beautifully honest posts on her blog. I’m sure you’ll love it!